Italy is a country that I experienced for the first time earlier this year, and I’m already looking forward to a return trip. With the combination of incredible food, welcoming people, and amazing sights to see, it’s no wonder this country is up there on many travelers’ wishlists. As with any popular destination, nonstop flights to Italy during certain times of the year can be expensive. The key is to use Google Flights to find when flight costs are low…or use your points and miles to get there on the mega cheap! In this article, I’ll cover the best programs you can use to book award flights to Italy, how to book an award flight, and how to earn enough miles for your next redemption. It’s important to note that award space in premium cabins on certain routes to Italy can be tough to find. Typically you will want to search either close-in (meaning close to the date of travel) or far out in the award calendar (10-11 months). Below you will find a number of programs that you can use to book an award flight. From Japan Airlines to Etihad, this post will have you covered. The Japan Airlines Mileage Bank program offers the best value on average (cents per mile) for nonstop flights from the U.S. to Italy. This airline is a member of the Oneworld alliance, which means you can use Japan Airlines miles to fly American Airlines to Italy. Japan Airlines also partners with Emirates, which allows you to book a flight on Emirates from the U.S. to Italy as well. Japan Airlines uses a distance-based award chart that will see a devaluation come mid-November. The program’s search engine is not the easiest to use when searching for its partner airlines flights, so it’s good to know what other websites to use. When searching for American Airlines award availability, I recommend using the American Airlines or British Airways website and then confirming that same availability on the Japan Airlines website. If you’re unable to confirm availability on the Japan Airlines website, you can call the airline at 800-525-3663. To find Emirates award availability, use the Qantas website and then confirm that same availability on the Japan Airlines website. If you are unable to confirm availability on the Japan Airlines website, you can call the airline. Hot Tip: I prefer using the Qantas website to search for Oneworld availability because it uses a month calendar view. 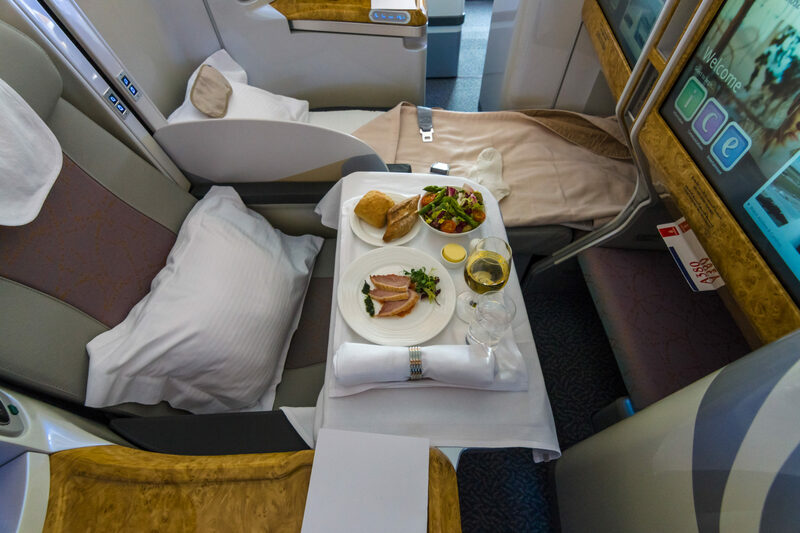 With American Airlines, business class is unlikely to show up on the Qantas website, so you will want to use American Airlines or British Airways to search for business class availability. I also recommend using Great Circle Mapper to determine the mileage of your flight before calling Japan Airlines. The Japan Airlines partner award chart determines the mileage required based on the distance of the total award itinerary of each segment and the cabin class. Japan Airlines will be increasing the cost of most awards on November 20, 2018, so it’s important to know the cost of your award flight before and after that date. Hot Tip: Need help booking this award? 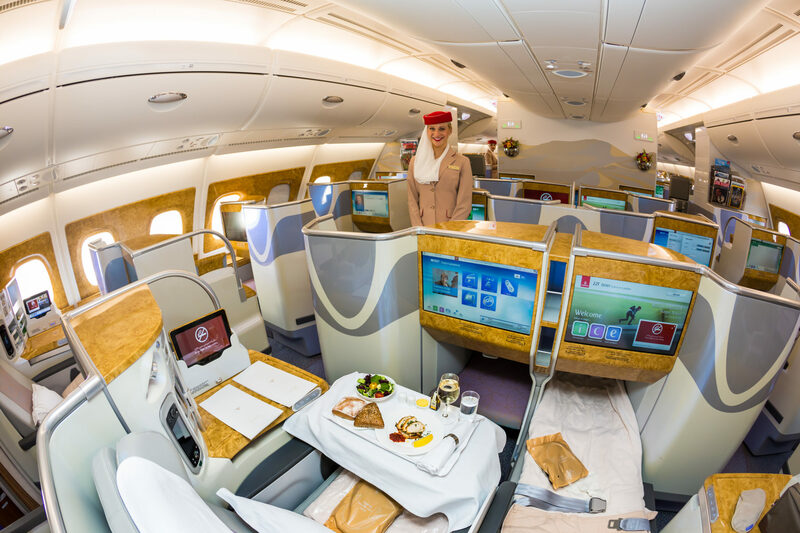 Here’s our step-by-step guide to booking Emirates business class. Note that American Airlines does not fly nonstop first class to Italy from the U.S. If you are looking for a first class experience, consider using Japan Airlines to fly on Emirates. Japan Airlines miles can be difficult to earn. While many airline programs have either co-branded credit cards with sizable sign-up bonuses or multiple transferable point program partners, JAL lacks in both areas. Japan Airlines offers a co-branded Mastercard, but this card lacks a material sign-up bonus. The mainstream option in the US is that you can earn Marriott points and transfer those to JAL at a transfer rate of 3:1. Plus, for every 60,000 Marriott points that you transfer, you’ll receive an extra 5,000 JAL miles bonus. Cathay Pacific’s award program experienced changes recently, with award prices on many routes increasing. The good news is that there is still value for your next redemption to Italy using Asia Miles. Similar to JAL, the Cathay Pacific search engine is not the easiest to use when you are searching for its partner airlines flights. For nonstop flights to Europe, you will use the Asia Miles Calculator. If you are flying 2 Oneworld airline partners to Europe (i.e., American Airlines and British Airways), you will use the Oneworld Multi-Carrier Award Chart (scroll to the bottom of the distance-based award chart page). When searching for American Airlines award availability, I recommend using the American Airlines or British Airways website. You will then need to fill out the Flight Award Request Form (scroll to the bottom after your award search) once you find availability on American Airlines or British Airways. Hot Tip: Need help booking this award? 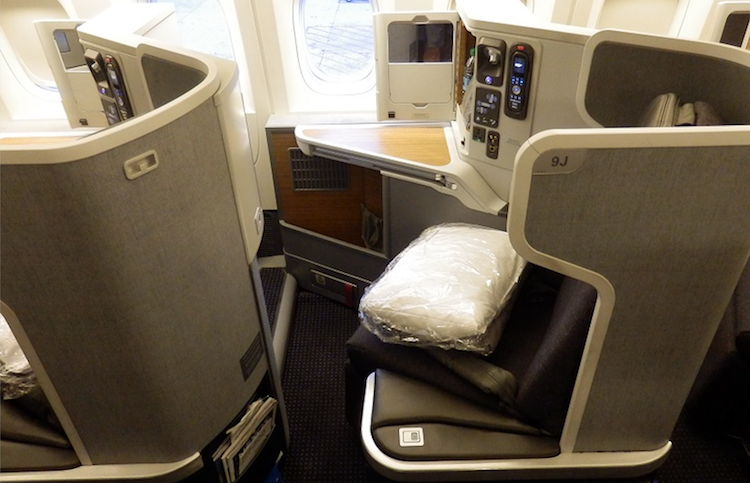 Here’s our step-by-step guide to booking American Airlines business class. Earning enough Asia Miles is made easier by the fact that Cathay Pacific partners with American Express, and Citi, and has a co-branded credit card that offers a solid sign-up bonus. Both programs provide the ability to transfer points directly to Cathay Pacific at a 1:1 ratio. You can then pool your points from all of the programs making it easier to book award flights for multiple people. Citi has a few credit cards that earn ThankYou points, which can be transferred directly to Cathay Pacific. If you regularly stay at Marriott hotels then you may also find transfer value with their hotel points. Hot Tip: Cathay Pacific recently updated its award program mileage and award charts. It’s important to review the charts and run award searches to familiarize yourself with the new award pricing. 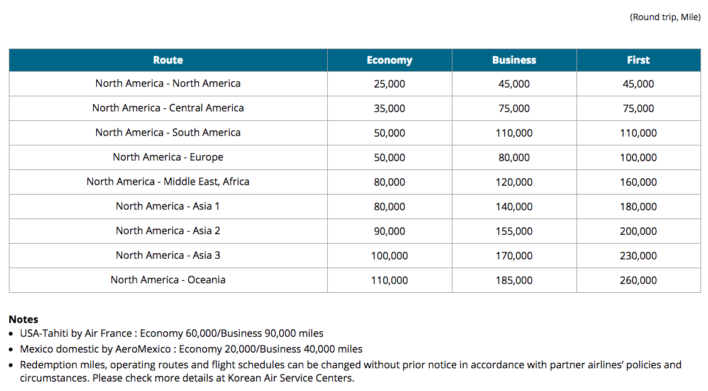 Korean Air’s award pricing for flights to Europe on its SkyTeam airline partners provides solid value. With Delta and Alitalia providing transatlantic flights, SKYPASS is a program that opens up value with your Korean Air miles. The airline uses a zone-based award chart for flights from North America. This means that all flights flown by SkyTeam partners from North America to Europe (regardless of the departing U.S. city) will cost the same amount of Korean Air miles. The SKYPASS search engine is not one I like using, as it only allows you to search for round-trip partner airline flights. Instead, I would recommend using the Delta or Flying Blue (Air France/KLM) website to search for availability. Both Delta and Air France/KLM have a flexible date search that allows you to see a month of availability at a time. Hot Tip: I have found that using a combo of the Delta and KLM website works well for me. KLM recently brought back its flexible date search tool, making it much easier to find award space. When you find availability on either Delta or Air France/KLM, call Korean Air at 800-438-5000 to confirm the award space that you found and ticket the award flight. Hot Tip: Need help booking this award? 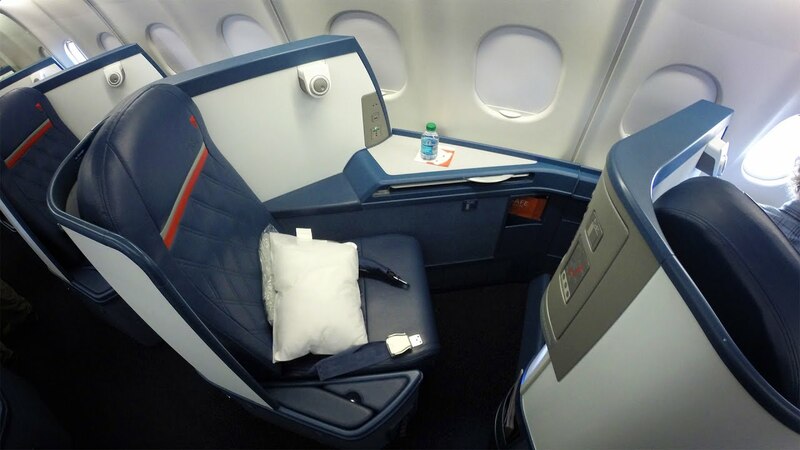 Here’s our step-by-step guide to booking Delta business class. Korean Air partners with Chase Ultimate Rewards and offers a co-branded credit card with a material sign-up bonus. Bottom Line: The combination of a co-branded credit card with a sizeable sign-up bonus paired with 2 transferable point programs means you will have more than enough miles for your redemption to Italy! I considered leaving off both Virgin Atlantic and Etihad here, but I think it’s important to at least mention both. Virgin Atlantic partners with Delta, so this provides another program to use if you are looking to fly transatlantic on Delta. The Virgin Atlantic search engine takes time getting used to; I recommend reading our piece on how to book flights using Virgin Atlantic. Virgin Atlantic partners with all 4 transferable point programs and has a co-branded credit card with a decent sign-up bonus. The Flying Club program partners with Amex, Chase, and Citi, giving you a ton of ways to earn and pool the miles necessary for your next redemption. Here’s our step-by-step guide on the best ways to earn lots of Virgin Atlantic miles. Bottom Line: Focusing on programs like Virgin Atlantic that partner with all 3 credit transferable point programs makes earning enough points for nearly any redemption much easier. Like Virgin Atlantic, I considered leaving Etihad off the list because the value of its redemptions to fly American Airlines is not as high as what you can find with Japan Airlines and Cathay Pacific. Also, booking a partner airline flight with Etihad takes time, and it’s not a program I would recommend using if you’re just starting out in the points and miles world. When you find American Airlines award availability on either the American Airlines or British Airways website, you will need to call Etihad Guest at 877-690-0767 to book the award ticket. The taxes and fees should be close to those shown in the chart below, but I recommend confirming with Etihad Guest over the phone. Etihad partners with Amex and Citi. 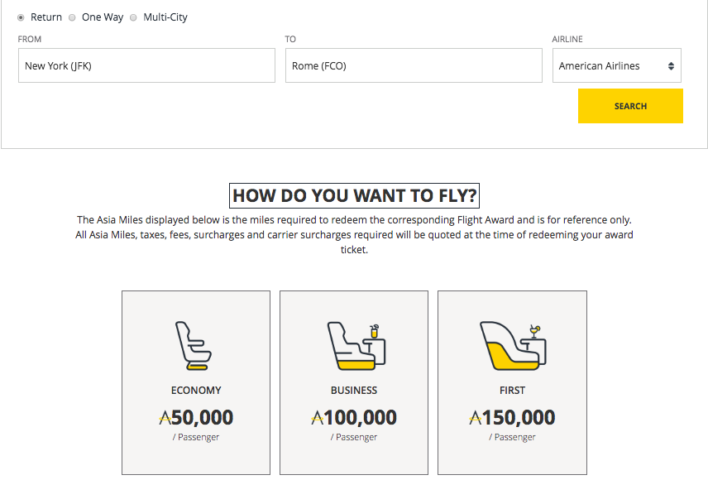 As previously noted, each of these programs offers credit cards with sizable sign-up bonuses, ensuring you will have enough miles for a seat in any cabin class. If you’re in need of additional Etihad miles, check out our in-depth guide on boosting your balance! Bottom Line: Etihad is an under-the-radar program providing value if you know where to look. Its partnership with Brussels Airlines is also a great one to leverage if you are looking to fly from the U.S. to Brussels. Italy is a country that has a rich history and offers tons of diverse experiences. From the mountainous regions in the north to the vineyards in Tuscany to the beautiful coastal cities in the south, Italy has it all! The key to getting to experience the country is knowing how best to leverage your points and miles with the programs that offer the best redemptions. With several programs at your disposal, you have more than enough ways to fly in a cabin class that makes sense for you. What may be noticeably absent from this article is the ability to fly on an award ticket from the U.S. to Europe, and then buy a ticket on a low-cost carrier from that city to Italy. This is certainly an option too — and one that I recommend if you don’t mind a connection, and spending a small amount of cash on a cheap flight. Which airlines include carrier-imposed surcharges on award flights to Italy? Emirates, American Airlines, Delta, and Alitalia all impose some form of surcharges on flights to Italy. What is the fewest number of miles you can use to book an economy class award flight to Italy? Japan Airlines and Etihad require the fewest number of miles to fly economy, at 39,000-40,000 miles round-trip. What is the fewest number of miles required to fly business class to Italy? Japan Airlines requires the fewest number of miles to fly business class, at 63,000-80,000 round-trip. What is the fewest number miles required to fly first class to Italy? 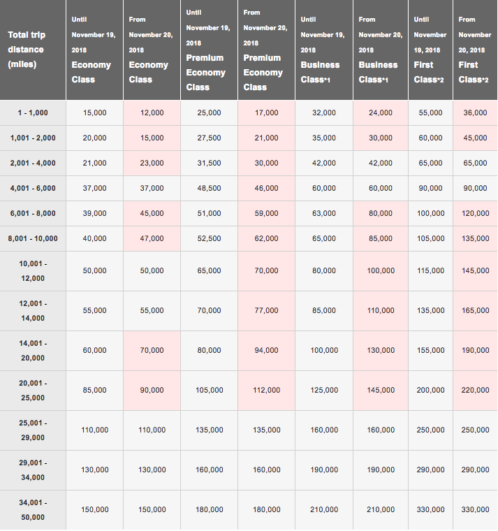 JAL requires the fewest number of miles to fly first class, at 100,000-120,000 miles round-trip. The route is between New York and Milan on Emirates. I looked on Delta’s website & it doesn’t show availability nor options for LAX-FCO direct on Alitalia. It is also showing 280k miles just one way on Delta with stops in DTW. How would I check availability & how many miles it’d be to fly direct LAX-FCO? Delta or Flying Blue (KLM / Air France) will be the best sites to use to check SkyTeam availability. Korean Air charges 50k RT in economy and 80k RT in business class for SkyTeam (Delta, Alitalia) flights to Europe.